It’s the disease of an outdated website. As a result of this infestation, your website sits out there looking like merely a sad, digital business card, doing nothing for your business but providing visitors with your name, email, and postal address. It doesn’t produce new leads, and it certainly doesn’t help existing customers use your products and services more effectively. Of course you’ve been meaning to have the site updated, but have been putting the project off due to the cost. I mean you just did the redesign 8 years ago, right? It should still be working just fine. People don’t go to your site from their phone, anyway, right? 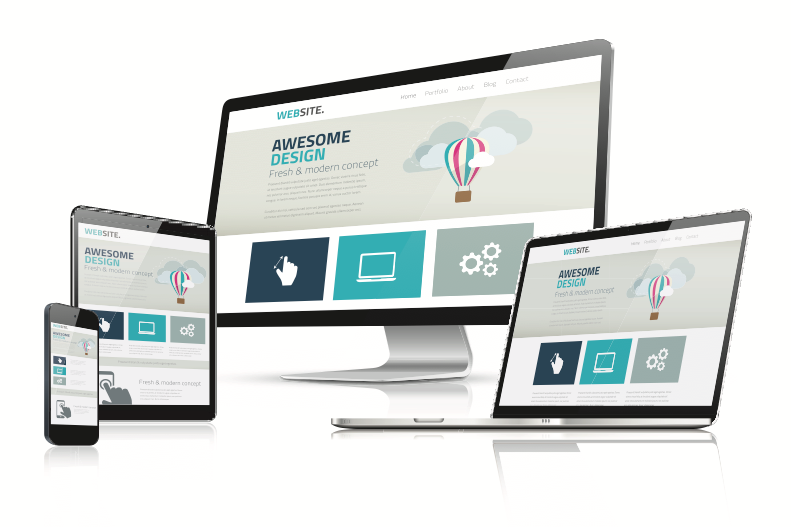 Your website is an extension of your business. It should reflect your quality of work and your business’ beliefs and values. Research also shows it takes just 1/20th of a second for site visitors to form a first impression about your business. During that brief moment, your website needs to capture the attention of its visitors so they’ll stay and gather more information to lead them toward a purchase. A less-than-excellent website leaves an opportunity for competitors to swoop in and grab the sale with just a few clicks. 1. Optimized for Mobile: In 2018, 52% of all website traffic worldwide was generated through mobile phones. If you have an ecommerce platform or draw traffic through blogs, a mobile-friendly design is essential. Designing for mobile is attractive to viewers because it adapts to whatever device it’s pulled up on so it fits to scale. The result is a streamlined experience for your users. 2. Web Page Speed: A website needs to be fast. Most visitors expect a site to load a page in two seconds or less. In fact, 79% of shoppers say they wouldn't return to a website if it lags. Furthermore, of those people, 44% said they were more likely to share their poor web experience with friends and family. 3. Avoid Clutter: Website clutter is a strong deterrent. When website visitors come into contact with too many flash animations, ad prompts, auto-play videos, and background music it can be a sensory overload. Websites should include ample white space that makes it easier to navigate. Good navigation is intuitive and simplistic and makes it easy for visitors to find what they need. 4. Ditch Those Cheesy Stock Photos: We all know of that one stock photo that gets around. It’s usually two people wearing suits while shaking hands or the infamous duo giving you a thumbs up. You might think, “everyone's using them, so why not?” We encourage you to run from this logic. Generic stock photos look insincere, amateurish, and in some cases even skeptical. A great way to tell if you need an update is if your website is sporting one of these stock photos. When possible, use your own custom images. If that’s not possible, find more unique non-generic stock images. 5. Be Clear. At a minimum, your website should describe how you can solve your target audience’s problems and the purpose of your site. This type of information gives visitors what they want and need. A common mistake is filling a web page with language like “we’re the best,” “we’re the cheapest,” “we’re the most innovative,” that type of language tells your reader nothing but sales jargon. Eliminating fluff and weak language gives you more room to describe why your business will provide tremendous value. A successful business and a strong website go hand-in-hand. If you're looking for business growth opportunities, start by looking at your online appearance first. Consider using these five tips as a checklist, and see if your website is effective at drawing in new visitors. Remember, investing in your website will always benefit a business when done correctly. Want to know more about creating websites that actually produce results for your business? Click below to download our complimentary website optimization guide that gives you everything you need to know. Rather watch a video? We also have a free webinar on the topic available right here.